We’re already missing summer around here. But at least we have our memories. 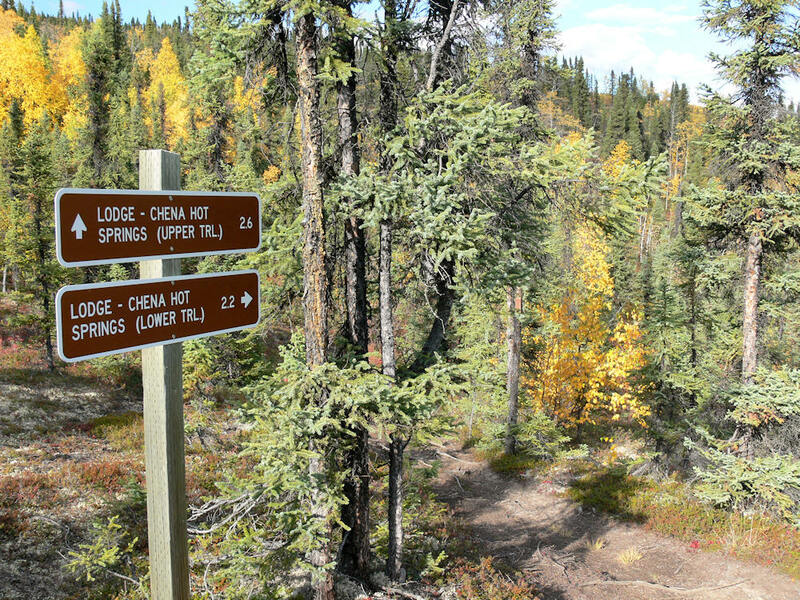 Such as from a few years ago on a sensationally sunny day in early September when Jack and I took a 4-wheeler ride in the mountains around Chena Hot Springs. That year there were striking fall colors and luckily I captured a few images to warm my heart on cold winter days. Hope you are all keeping warm. 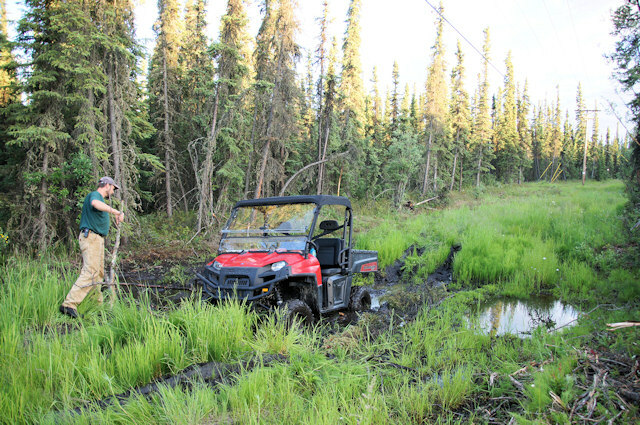 Jack gets his ATV stuck on a muddy trail! Yes, Jack got stuck in a mud puddle. It was a big mud puddle though! If fact, it was kind of a swamp. He was not pleased! After sticking a few pieces of wood under the vehicle for traction and not getting any we gave up and started walking. Thank goodness it was only a mile back to the road! 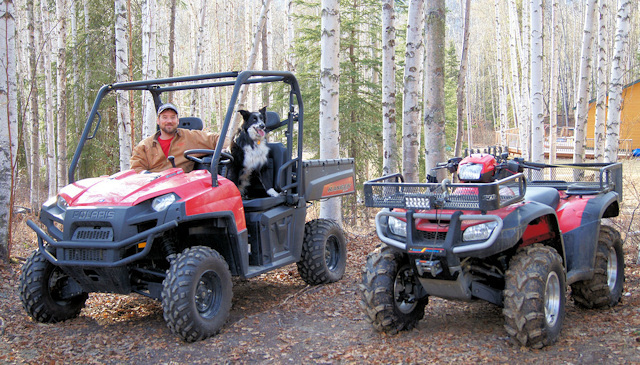 I stayed there with our dog and Jack hitched a ride back to our house to get the 4-wheeler that has a winch on it. So in a flash Jack was back, and soon we had the side-by-side out and we were heading down the trail on our merry way… it was already 11pm but Jack needed to balance his hard work with some hard play so we didn’t get home for another 2 or 3 hours! 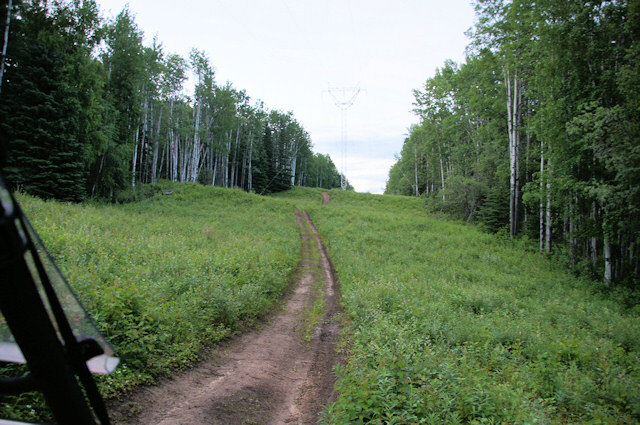 We found a great easement trail! For those of you who aren’t familiar with side-by-sides, they are similar to 4-wheelers but bigger and you can sit side by side behind a wind shield. 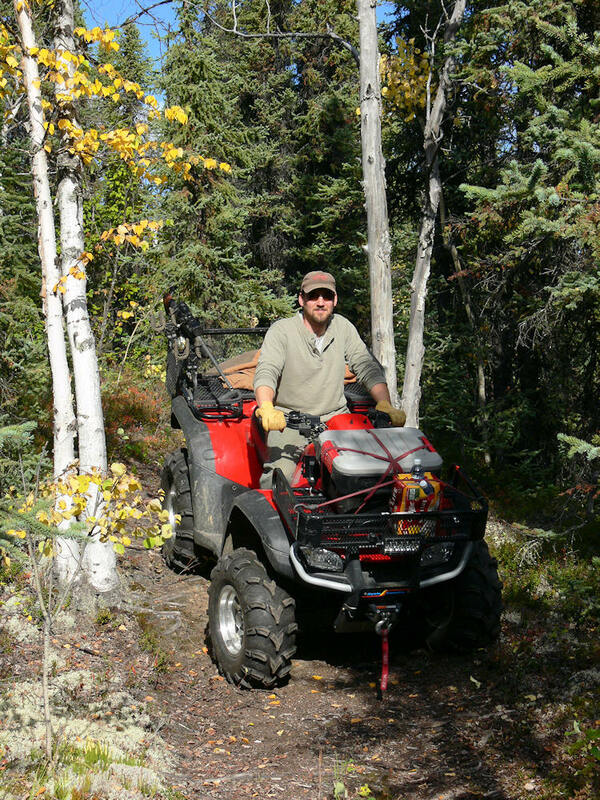 It’s more comfortable than a 4-wheeler, warmer, and you don’t get rained on. Best of all, our old mutt can ride instead of run so he doesn’t wear himself out. He must be part sled dog because he would run himself into the ground if you let him.